In a misguided effort to address complaints about the smell and cleanliness of Philadelphia’s public transit system, the city will begin testing a pee-repelling paint called Ultra-Ever Dry in the coming weeks. Southeastern Pennsylvania Transportation Authority spokesman Andrew Busch told the Chicago Tribune that SEPTA decided to try out Ultra-Ever Dry because “there’s been some success (with the coating)” in San Francisco and Hamburg. Public urination is certainly a public health issue—shortly after San Francisco announced the city would be using Ultra-Ever Dry last year, a lamp post corroded by urine fell in the street, narrowly missing a nearby driver. But using liquid repelling paint to combat the problem in the public transit system is misguided, and almost cruel. Ostensibly, the majority of subway urinators are homeless people who don’t have access to restrooms. San Francisco officials chose to not explicitly state walls coated with Ultra-Ever Dry splash back; instead, the signage reads, “Hold it! This wall is not a public restroom. Please respect San Francisco and seek relief in an appropriate place.” This doesn’t account for the people who don’t have access to “an appropriate place”. Hopefully, SEPTA will put up clear signage warning people the paint is there, so a homeless person wouldn’t have to endure the added humiliation of accidentally urinating on themselves. Even if the public urinator isn’t homeless, it feels a bit nasty to indulge in the schadenfreude of knowing some drunk dude got piss all over him. 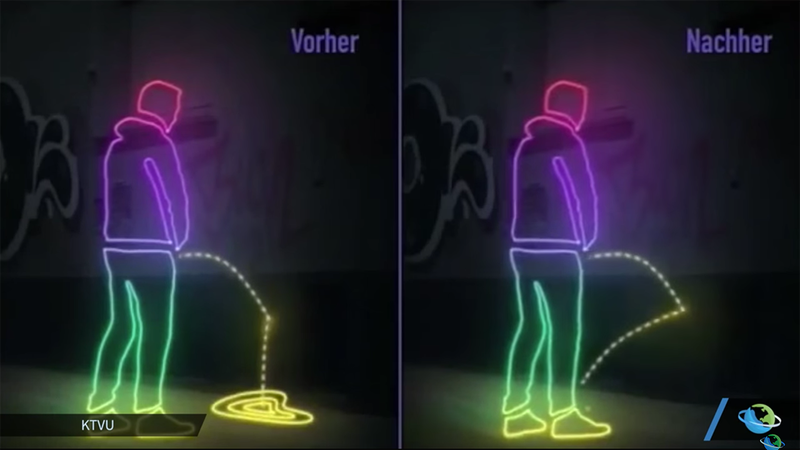 Public urinators are desperate, not evil. While Ultra-Ever Dry might discourage people from publicly urinating in train stations if the public knows it’s there, tackling the problem with this method ignores a much larger issue—homelessness—that can’t be solved by high-tech paint. What to do, then? Here’s a more humane start: more public restrooms.